06 Feb 2019 --- Rapid gene cloning techniques developed by UK, US and Australian scientists could be a potential game-changer in transforming crop disease protection. The AgRenSeq technique allows researchers to search a genetic “library” of resistance genes discovered in wild relatives of modern crops so they can quickly identify sequences associated with disease fighting capabilities. Researchers can then use laboratory techniques to clone the genes and introduce them into elite varieties of domestic crops to protect them against pathogens and pests. The research team has found a way to scan the genome of a wild relative of a crop plant and pick out the resistance genes needed – and they can do it in record time. This process used to take ten to 15 years and was like “searching for a needle in a haystack,” but now researchers can clone genes in a matter of months, drastically reducing the costs involved. Speaking to FoodIngredientsFirst, one of the pioneering researchers, Dr. Brande Wulff, a project leader at UK-based John Innes Centre, explains that by making crops more disease resistant, AgRenSeq will help to improve yields and reduce the use of pesticides. “ Click to EnlargeThe AgRenSeq technique allows researchers to search a genetic “library” of resistance genes discovered in wild relatives of modern crops so they can quickly identify sequences associated with disease fighting capabilities.Conventional resistance gene cloning methods require genetically isolating a disease resistance gene in an otherwise susceptible background (which can take several years), followed by generating a large number of progeny from a controlled cross or mutant population (typically several thousands of individuals), which are then grown and observed for the trait of interest. This again takes many years and is often complicated further when working with crop wild relatives which have all the unruly pre-domestication traits you can possibly imagine, such as long generation times, seeds that are dormant, and growth morphologies that are not amenable to mechanization,” he says. “We then sequence the individuals in this wild population, numbering only a few hundred individuals and then correlate the sequence-signatures with the trait (disease resistance) to directly identify the resistance genes. Once a population has been sequenced, it is like a library or directory that can be consulted again and again against different pathogens to clone disease resistance genes,” Dr. Wulff says. AgRenSeq is being hailed as a cost-effective solution because being able to clone the genes in a matter of months and not years, means a huge financial saving. “The long time lines associated with cloning a single plant resistance gene using conventional techniques, with little scope for parallelization, compared with the months required to clone a gene now, and with more scope for parallelization, means the technique offers huge savings on staff salary (per gene cloned),” Dr. Wulff notes. AgRenSeq has been successfully trialed in a wild relative of wheat with researchers identifying and cloning four resistance genes for the devastating stem rust pathogen in the space of months. This process would take around a decade using conventional means. The work is being used as a proof of concept and could pave the way for the method to be utilized in protecting many crops which have wild relatives such as soybean, pea, maize, potato, wheat, barley, rice, banana and cocoa. “With the discovery of more disease resistance genes and breeding them into our crops, we can grow crops with less pesticide, which is more environmentally sustainable and this should bring down the cost,” continues Dr. Wulff. 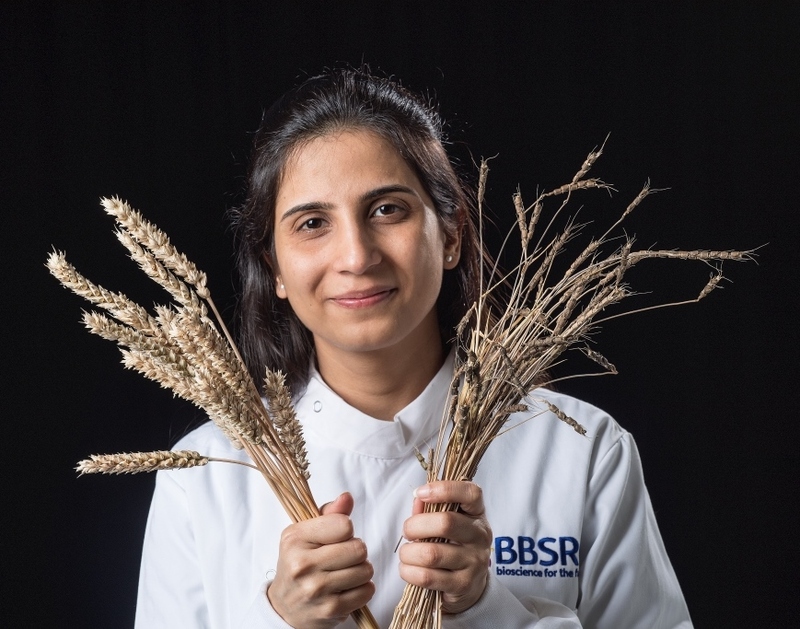 “We will continue to focus on wheat for now, but the technology would be straightforward to apply to many other crops and their wild relatives. 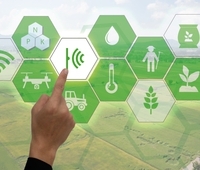 Indeed, colleagues working on banana, sugar beet, oat, barley and cotton have contacted us to for help with applying the technology to these crops,” he says. “Fewer pesticides will also benefit the environment and the workers growing those crops, and potentially the health value of the crops themselves (for the consumer). A case in hand concerns banana – one-third of the production cost goes towards chemical control of banana diseases. The chemical application is so frequent and intense that the health of many banana plantation workers is seriously affected, including frequent and severe skin rashes and respiratory ailments,” Dr, Wulff concludes. The research in funded by the Biotechnology and Biological Sciences Research Council and appears in the Nature Biotechnology article: Resistance genes are cloned from a wild crop relative by sequence capture and association genetics.